The church was founded in the 12th Century on Garlic Hill, adjacent to a Hythe (Wharf) from which Garlic was unloaded and sold locally. Many events have affected this church since it was rebuilt in the 14th Century. They include the Great Fire, The Blitz, Death Watch Beetle (church closed 1954-63) and a Crane collapsing onto the South side of the church in 1991 whilst in use on another structure. 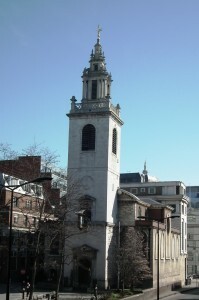 The Church was rebuilt for £ 5,537 10s 10½d between 1676-82 by Christopher Wren following the Great Fire. The superb Portland Stone Steeple is one of Wren’s finest and was finished in 1717, 32 years after the Tower it adorns was completed. 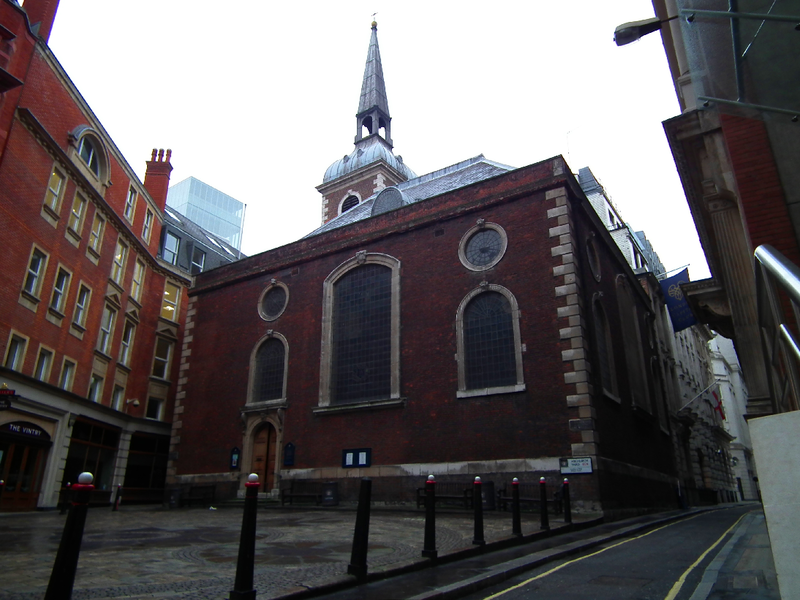 The church became known within the city as ‘Wren’s Lantern’, referring to the natural light that permeates the interior of the church. 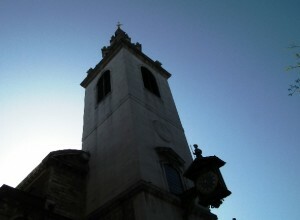 This is due to Wren’s design of large Windows and high Ceiling, at 40 ft the highest of any city of London church. Although the Clock on the West side of the Tower is dated 1682, it is actually a copy of the original which was destroyed during The Blitz. During World War II a 500 lb bomb dropped through the Roof and buried itself deep inside the South-East corner of the church, fortunately it didn’t explode. 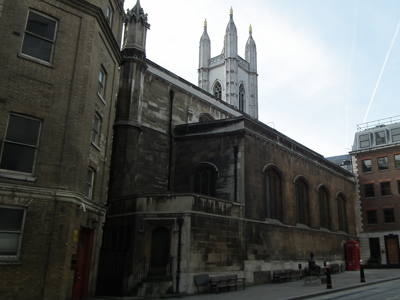 St. James’s today is regularly used by several Livery companies. They not only utilise the church but also contribute towards it’s maintenance. The Vintners can trace their association back to the 14th Century when St. James’s was rebuilt by two of their members. With this history it is no surprise that no fewer than six Lord Mayors are buried here. The large Pulpit was inherited from St. Michael Queenhithe, a local church demolished in 1876, and is one of many original 17th Century fittings in excellent condition. This historic church houses the eight new bells especially cast by the Whitechapel Bell Foundry for Queen Elizabeth’s Diamond Jubilee celebrations. The bells took pride of place onboard the lead vessel of a 1000 craft flotilla on Sunday 3rd June 2012. The flotilla, celebrating H.M The Queen’s 60 years on the throne, was the largest seen on the River Thames for 500 years. They were rung on board the boat and were answered by bells from other churches lining the river.